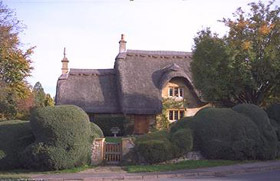 Throughout these pages you will find: accommodation choices in the Cotswolds (B&Bs, guesthouses, hotels, pubs and country inns, farms and farmhouses plus a collection of self-catering (holiday-rentals) cottages and holiday camps with camping and caravaning facilities as well as private houses). For accommodation choices click here to got to the map, select the area (or town) you are interested in and then choose from the accommodation choices. To see What's On 2013 in the Coswolds click Here for our Programme of Events for 2013 for a month by month guide to Cotswold activities for you and your family. In the Cotswolds you will also find plenty to do in this beautiful corner of England - a magnificent parkland with spectacular walks and scenery. Geologically the Cotswolds is a limestone mass stretching 100 miles SW by NE with Bath to the south and Chipping Campden to the north. The 'wold' is old English for 'upland common'. These rolling hills are used mainly for sheep and arable farming. 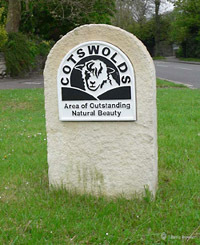 The local breed, 'the Cotswold' can produce a fleece in excess of 10 Kilos. At one time the area had half a million sheep and the wool trade with europe was significant. Flemish weavers were brought to England and the merchants became wealthier than the King. Numerous fine homes and churches were built from the wealth of this trade. This trade lasted several centuries but when it was over the human devastation was dreadful. 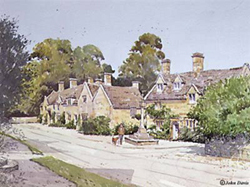 It did mean however that the towns in the Cotswolds have been left undeveloped as can be seen at places like Chipping Campden. These are now preservation areas and the villages will remain as they were built many centuries ago. We invite to come and explore this Area of Outstanding Natural Beauty. 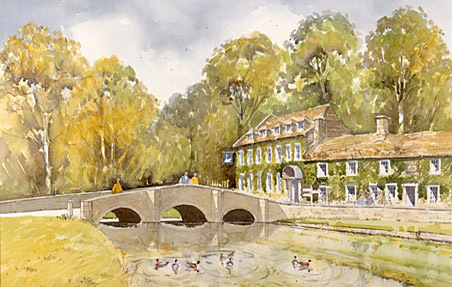 This Cotswold website enables you to discover the initial beauty of our towns and villages. You will find a host of information that will enable you to plan your trip. If you have a day trip planned, you will find information on what to do and see, as well as information on pubs, inns, bistros, restaurants and which you may wish to refresh yourselves. On the other hand if you wish to make your trip for a few days or longer, then you find all the information you need to make your stay relaxing and to ensure that your trip is succesful. At present we are busy compiling a comprehensive list of all possible accommodation options is to enable you to choose where to stay. Whether you choose a self catering base for your stay, or a 5 star hotel and all its opulent luxury or the homely and welcoming option of bed and breakfast you can be assured that you will find all you need within this web site and possibly much more. 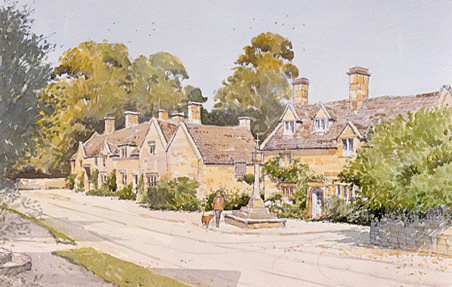 Betty Stocker has produced a beautiful book of sites, scenes and country life from across the Cotswolds. For more information on the Betty's 'Country Folk and Country Ways book click here to see more of Betty's work: Betty Stocker - Photographer. scattered with small pretty towns and villages providing pleasant places to while away the time, easily identified by its mellow stone buildings. Among the charming countryside you will find a wealth of interesting places to visit, including magnificent castles, ancient churches, glorious gardens, stately homes with historic houses. Spend the day exploring the picturesque Cotswold countryside, browse in an art gallery or antique shop, or simply soak up the history of the area. Shop at some of the oldest chartered weekly markets in the country. Head to the picturesque market towns to shop or take time out for a leisurely ramble and stop for a meal in a traditional pub. 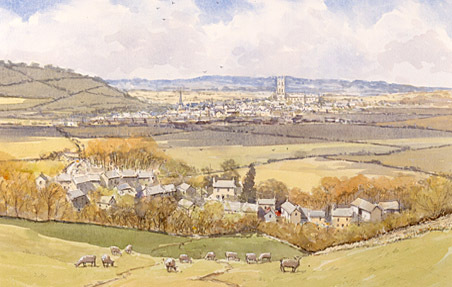 The Cotswolds stretch from Ilmington in Warwickshire for over 100 miles to historic Bath. Linked by the wool industry, a wealthy industry of yesteryear to which many of these towns owe their initial prosperity. It is an area of contrasts and there is so much to discover you'll want to come back for more!